xLobby’s mini client can control lighting for a simple home theater installation. 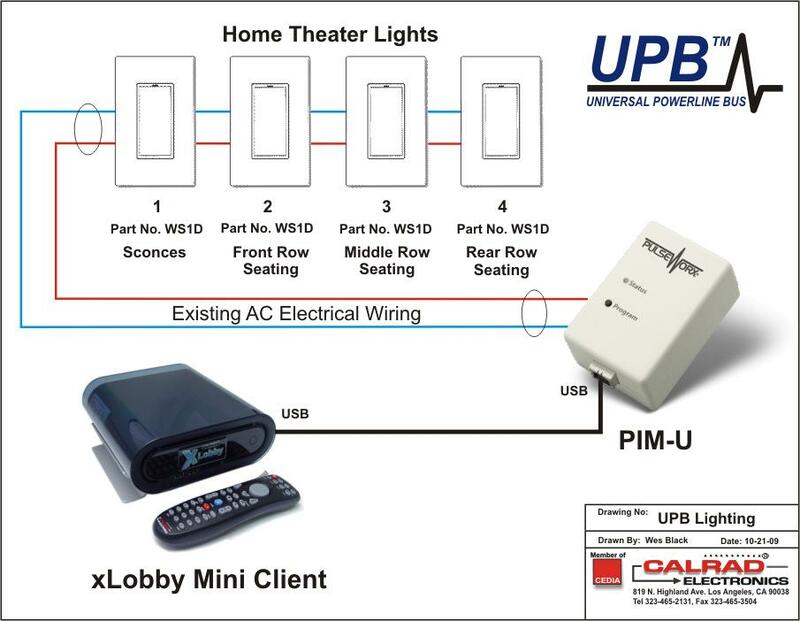 Using the mini client with a NAS solution for storing Movies and UPB carrier based lighting technology you can create a inexpensive but simple method to provide full 2 way lighting control in a single room or home theater environment. xLobby can turn the lights off or preset them to any desired lighting level when a movie title is played and then turn them back on to any desired lighting scene when a movie is finished. 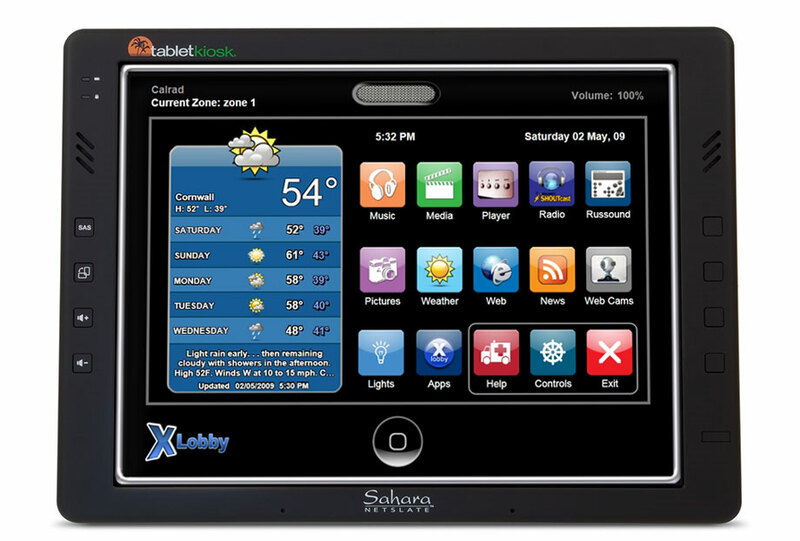 Also direct control of the lighting switches are available from the xLobby lighting menu screen using a touchscreen or directly using a IR remote to access lighting, even simple scheduled programs can be created for daily, or weekly lighting events. UPB™ uses low frequency, spread spectrum technology which produces a very strong signal. 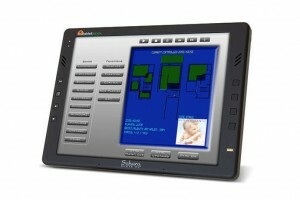 In addition, UPB™ uses true 2-way communications, allowing devices to reveal their status to each other. This feedback, that commands have been successfully executed, results in reliable communications—greater than 99% accurate! UPB offers a flexible and scalable technology that can create small or large scale electrical and lighting control systems. UPB™ sizes existing powerlines, eliminating the need to pre-wire or pull new wire to install a system. Additionally, during the installation of typical PLC products, service callbacks are needed to install filters or repeaters to fix reliability issues. Because UPB™ products work right the first time, installers deploy once and no more service callbacks are required. The end result is a reduction of cost and significantly increased customer satisfaction. Supports .3 second response time or 10 full commands per second which is 20 to 40 times faster than other PLC technologies. 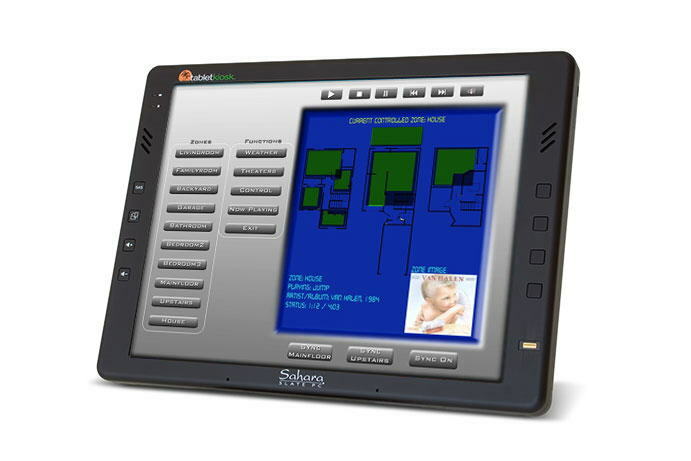 This increase in speed delivers a lighting control system that is responsive to the touch. Using the (PIM-U) Powerline Interface Module connected to xLobby via USB, signals travel using exixting electrical lines to the wall switches (WS1D) to control each lighting zone. 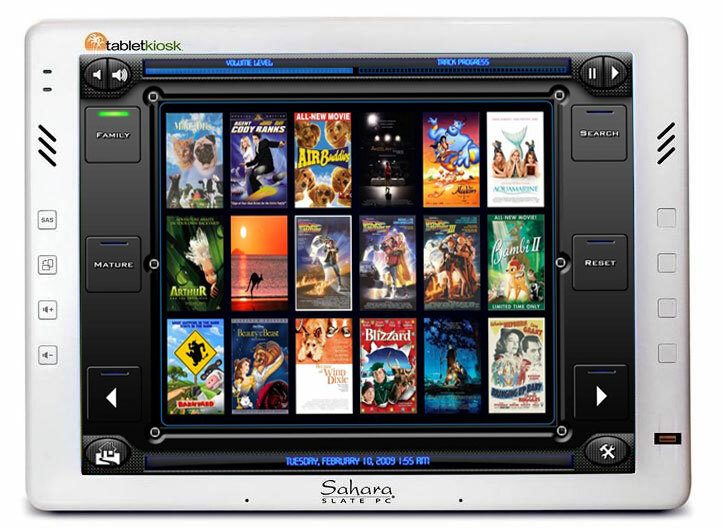 A company local to Calrad called TabletKiosk manufactures several different models of PC based tablets suitable for use with xLobby V3, when purchasing any of these units some key items that should be added to the tablet is 1. As much memory as possible, 2. The faster 7200rpm hard drives or even solid state drives. 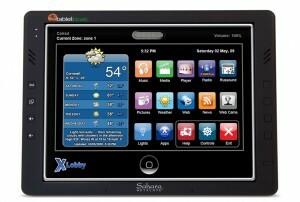 Contact Calrad for xLobby V3 tablet license information and costs. Another company called WiFiParts carries commercial grade WiFi access products that out perform products sold from most consumer retailers. 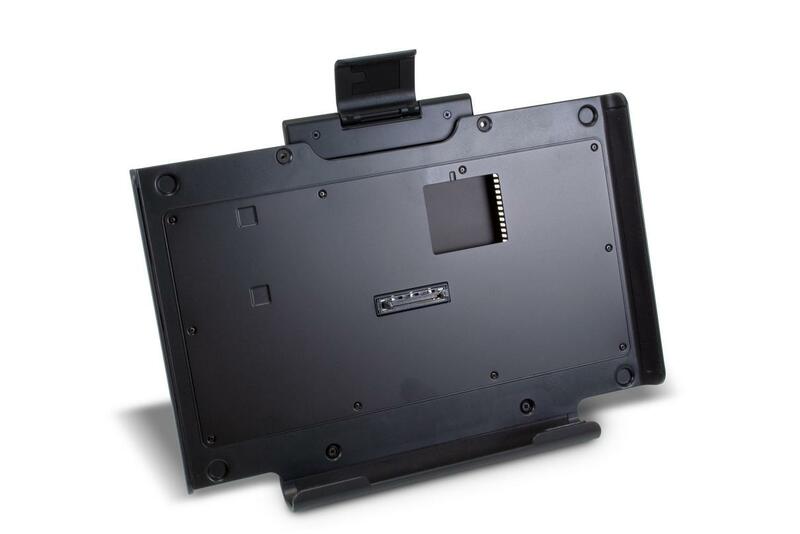 These products have higher ouput power, offer POE, waterproof designs, Self healing technology to minimize downtime. These products increase the reliability of connecting any WiFi based product to xLobby’s client server setup. A list of websites to download animated video backgrounds. – 0000093: [skin editor] groups buttons into “groups” (stevenhanna6) – resolved. – 0000703: [triggers] added xlobby activity trigger, will occur when activity after 1 second of inactivity (stevenhanna6) – resolved. – 0000702: [triggers] “any key” option added for keyboard trigger (stevenhanna6) – resolved. – 0000701: [content playback] new VMR playback graph for vista, enables navigating full disc movies correctly (stevenhanna6) – resolved. – 0000700: [triggers] triggers are now saved on exit in case they are enabled/disabled from the skin (stevenhanna6) – resolved. – 0000697: [generic] webserver, url parameters added “width=100&height=100&screen=menu” (stevenhanna6) – resolved. – 0000695: [skin editor] can’t edit a local event for category selection event (stevenhanna6) – resolved. – 0000694: [skin editor] save new command description automatically instead of when “?” is clicked to close it (stevenhanna6) – resolved. – 0000705: [skin editor] ir command drop down list did not populate (stevenhanna6) – resolved. – 0000696: [setup] setup, webserver, width/height/auto refresh options added (stevenhanna6) – resolved. – 0000368: [setup] Unable to size webserver in browser (stevenhanna6) – resolved. – 0000706: [skin editor] plugin command drop down list did not populate (stevenhanna6) – resolved. 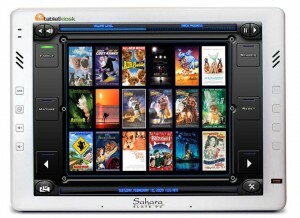 xLobby now has a place on youtube where we will be posting videos of xLobby V3 and any technology releated to xLobby. – 0000683: [setup] Can you please alphabetize the lists in F2/Databases/DB Editor? (stevenhanna6) – resolved. – 0000692: [generic] new command “music->snap track now” (stevenhanna6) – resolved. – 0000691: [skin editor] drop down box with options for animation behavior added (stevenhanna6) – resolved. – 0000690: [skin editor] after cloning a screen with a category, the category is blank (stevenhanna6) – resolved. – 0000689: [generic] when using speech the volume slide can go out of sync (stevenhanna6) – resolved. – 0000321: [skin editor] Add Free Text Description to Events (stevenhanna6) – resolved. – 0000688: [generic] finally moved tv and xm radio icons into their own folder (stevenhanna6) – resolved. – 0000682: [generic] show a generic “closing, please wait” when exiting xlobby (stevenhanna6) – resolved. – 0000677: [content playback] Music Player “auto track advance” is Broken (It still works if each track is played “manually”.) (stevenhanna6) – resolved. – 0000686: [generic] “goto screen” drop down list replicates screen names each time it’s used (stevenhanna6) – resolved. – 0000675: [generic] track lengths are not imported for FLAC files (stevenhanna6) – resolved. – 0000681: [setup] Add Drive chioce to Autoplay (stevenhanna6) – resolved. – 0000072: [generic] when you rename an audio zone it doesnt update the name (stevenhanna6) – resolved. – 0000693: [generic] if using next/previous track on a page with playlist, playlist will auto page if required (stevenhanna6) – resolved. 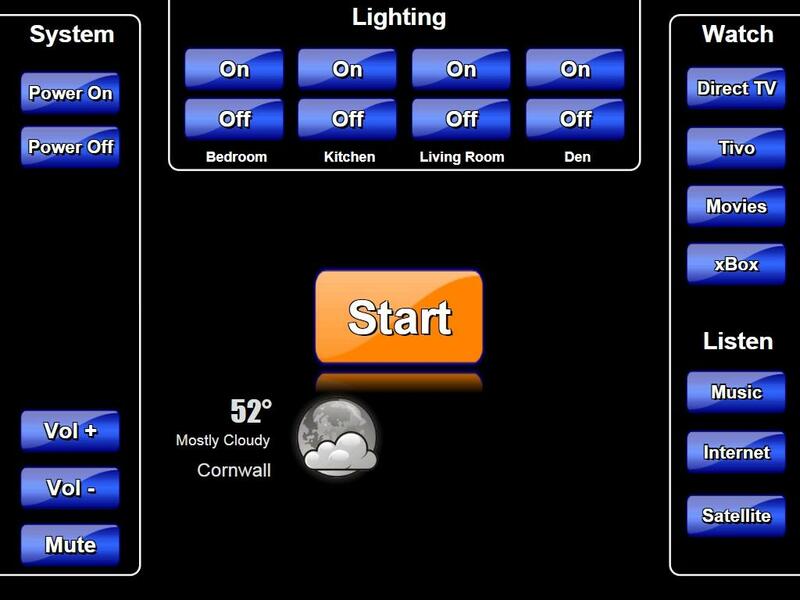 I created this simple screen with a Start button and weather information on it, as soon as you click on the start button, 3 panels with buttons slide out and after 10 seconds of no activity on the menu from keyboard, mouse or remote they slide back in. 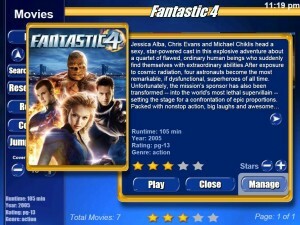 You could modify this screen to do other interesting panel animations and create some really cool menus. Add the trigger xml file into your xLobby triggers folder and the skin xml file into your skin folder. You are currently browsing the xlobby news blog archives for October, 2009.